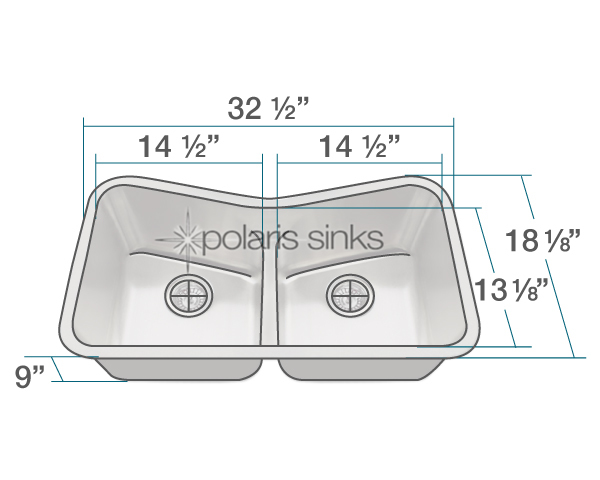 With several interesting features, like the V-shaped top edge, the sink in this P335-16 Kitchen Ensemble stands out in the Polaris line of stainless steel options. 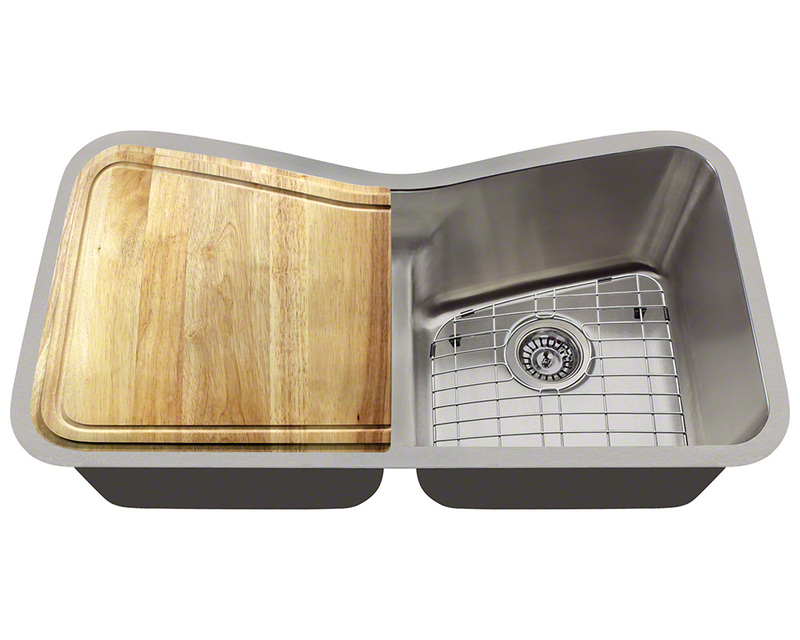 This is an equal-sized bowl design, with offset drains and a low divide between them. Premium 304-grade steel is used to form this heavy-duty 16-gauge sink which also flaunts an attractive brushed-satin finish. The full ensemble includes a genuine wood cutting board which is custom-fitted for the left bowl, a pair of standard strainers, and a pair of stainless steel grids. This undermount design requires a flush or positive reveal installation in order to accommodate the fitted cutting board. Compare to the P335-18 Kitchen Ensemble.